I have been a reader of the Department of Defense’s Early Bird for a long time. For those of you who are unfamiliar with the Early Bird, it is a daily roundup of items in the news that are related to the military. Although it is a purveyor of news, it has also been in the news lately because it became a victim of the budgetman’s axe. Although the official Early Bird may have gone the way of the Dodo, it has been replaced by versions created by non-military agencies. Anyhow, the Early Bird was great because it provided a single location to check out the news of the day for those in uniform. I eagerly read it while still on active duty and I still read it (well, the son of the official Early Bird at any rate) today. Since I got out, however, my interest in the Early Bird has changed from following the goings on in foreign lands to more pressing issues here at home. 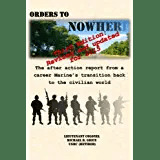 It occasionally contains links to stories about transition and veteran’s issues, but not always. I found the lack of daily coverage is transition and veteran’s issues to be disappointing. So I decided to start writing my own version of the Early Bird, except that it will focus on veteran/transition stories that are bouncing around the internet and in print. You are one of the luckiest readers on the planet because you get to read the inaugural post — the post you are reading right now. My goal is to post links to news stories and blogs about vets and transitioning servicemembers as frequently as I can, and today is the first of them all. If you have any feedback or recommendations, please post a comment! GOOD NEWS! Salvation Army Thanksgiving eve feast assured after flood of donations (Peninsula Daily News) Two weeks after putting out the word that it didn’t have any turkeys for the annual Thanksgiving feast, the Port Angeles Salvation Army’s soup kitchen now has enough for the 200 expected at the holiday meal. Workshop advises service members in transition (Army.mil) Whether a service member retires after 20 years or gets out after just one tour, the Army’s Transition Assistance Program helps service members and their families transition into civilian life by offering job-search assistance, financial readiness planning and related services. Tech sector salutes military in transition to civilian jobs (Seattle Times) Microsoft and other companies are sponsoring intensive programs to help service members learn the skills to help them land high-tech civilian jobs. Government, Military and Business Leaders Come Together to Help Veterans Transition to Private Sector Careers (Digital Journal) More than 100 employers from Canada’s private sector will gather this week for Canada Company’s inaugural Military Employment Transition (MET) Employer Partner Coalition Conference in Toronto on November 21 and 22. Focused exclusively on veteran employment, the conference is designed to help bridge the gap between the Canadian Armed Forces (CAF) and corporate Canada by serving as a platform to share successful techniques and best practices that assist transitioning and transitioned CAF members entering the private sector. Pentagon requests plan to close stateside commissaries (Stars and Stripes) Tasked by Defense Secretary Chuck Hagel to find ways to preserve force readiness amid sharply falling budgets, his comptroller and the Joint Staff have asked the Defense Commissary Agency (DeCA) for a plan to close all stateside base grocery stores, say military resale community sources. Obama enacts 1.5 percent veterans’ COLA (Army Times) President Obama has signed into law a measure providing a 1.5 percent cost-of-living adjustment to disabled veterans and their survivors. Military leaders: Drawdown plan aggressive (USA Today) President Obama’s own military commanders said Thursday that his plan for a drawdown of troops went beyond what they had recommended but will still be able to achieve U.S. goals for a stable Afghanistan. Critics however say the drawdown risks reversing hard-won gains against the Taliban. U.S. military says it may have to cut Europe budget by fifth (Reuters) The United States may be compelled to cut its military spending in Europe next year by as much as a fifth in the latest round of reductions under “sequestration”, America’s top general in the region said on Thursday. Paralyzed Army vet awarded $8.3M in VA hospital lawsuit (Army Times) An Army veteran who lost a leg and suffered severe brain damage when a routine surgical procedure at the John Cochran VA Medical Center went wrong has been awarded $8.3 million in a medical negligence lawsuit. Hospital delays are killing America’s war veterans (CNN) Military veterans are dying needlessly because of long waits and delayed care at U.S. veterans hospitals, a CNN investigation has found. U.S. Department of Veterans Affairs’ catching up on benefits backlog (The Gazette) Far fewer veterans are facing long waits for disability compensation after the Department of Veterans Affairs spent the past six months focusing on the backlog, including mandating case worker overtime and rolling out a new computer system. Thanks for reading the first ever edition of Transitionnews! This entry was posted in Transition Posts and tagged air force, Army, Benefits, career, coast guard, Disability claim, Employment, Job Seeking, Marine Corps, Military Transition, Navy, Networking, Officer, Retirement, transition, VA, Veteran, Veterans Administration. Bookmark the permalink. Mike, thank you for your continued service and ability to make things happen! Go Navy! I’m very pleased to hear about the cut in spending over in Europe, but Now I wish it was a tad more than one-fifth. (Am I getting greedy?) I just feel our money can be put to better use elsewhere. It will be interesting to see how our overseas basing looks after all of the cutting gets done.